Many companies are looking for ways to increase their recruiting capability and effectiveness. 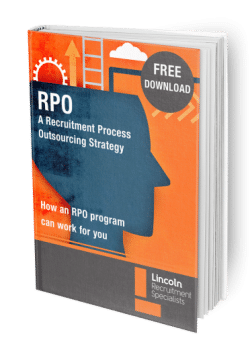 While some start by rebuilding their internal recruiting infrastructure, many are turning to Recruitment Process Outsourcing (RPO) to help improve their recruiting capability and efficiency.Â But many companies are confused about what exactly RPO is to begin with, and how an RPO strategy can benefit their company. While this eBook will not provide an answer to all of your questions about RPO, it should provide a good foundation for understanding how a program might fit into your organisation and how you can effectively choose an RPO partner and be safe in the mind-set that they have the necessary skills and qualifications to provide an effective service to your recruitment requirements.